Does your skin go haywire when the temp drops? The dryness, cracking, flaking, irritation, and itching – especially on your hands, legs, and feet – can often be too much to bear. 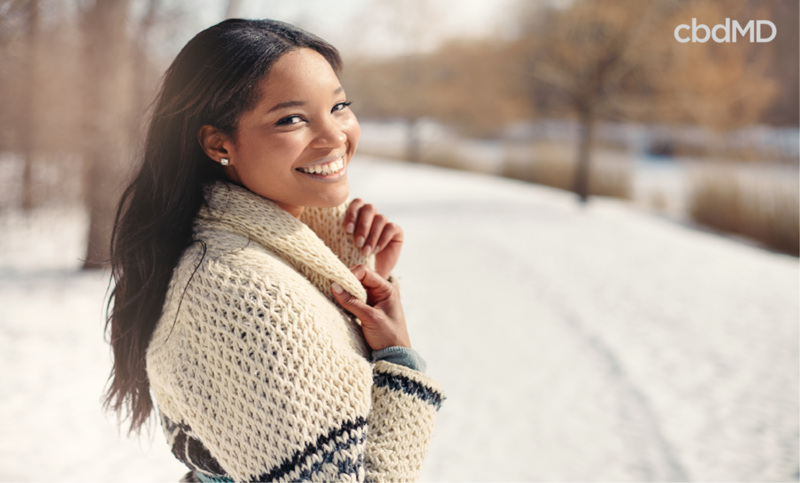 As humidity levels decrease and cold weather sets in, our skin needs an extra dose of TLC. Thankfully, there are a few natural skin soothers that help calm conditions like eczema, sensitivity, and excessive dryness. Not your average breakfast dish, colloidal oatmeal is a superfood ingredient that can help treat eczema and dry winter skin, especially itchiness and irritation. Colloidal oatmeal is finely ground and, when added to water or other solvents, will expand to create a slightly thicker liquid. This substance acts like an emollient, helping to soothe the cracks in dry skin. It also acts as a humectant, helping to retain moisture. Colloidal oatmeal contains lipids (which reinforce the skin’s moisture barrier) and antioxidants like ferulic acid, caffeic acid, and coumaric acid. Adding to its skin-soothing powers, colloidal oatmeal contains other compounds that have anti-inflammatory properties. Dry skin or sensitive skin can be easily irritated, so it’s important to treat it gently. Extracted from the nut of the African shea tree, shea butter is extremely gentle, yet ultra-hydrating. High concentrations of fatty acids (like MCT oil, stearic acid, and oleic acid) combined with benefit-rich vitamins A and E, make shea butter an ideal skin softener, especially for cracked or chapped areas. It is buttery-smooth in texture and will melt in your hands, making it easy to apply. When shopping, look for raw shea butter that is extracted using cold-pressed methods without the use of chemicals or preservatives. 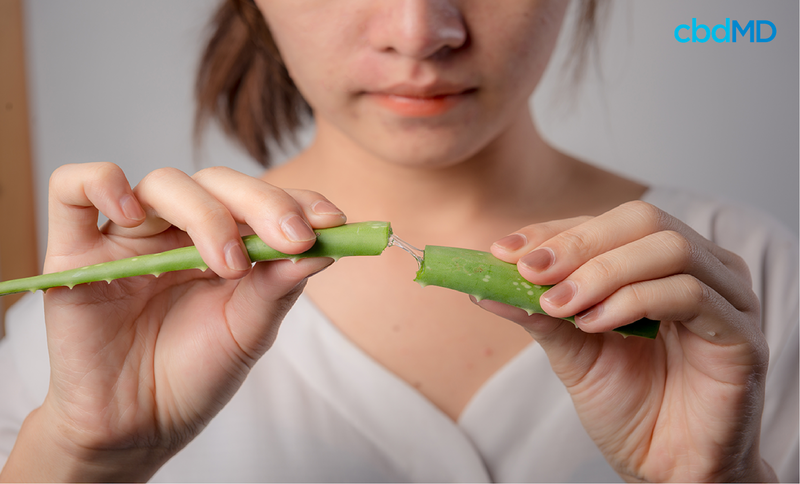 Aloe leaves contain a surplus of antioxidants, including beta carotene and vitamins C and E, that can hydrate and fortify your skin. Aloe moisturizes without greasiness, making it ideal for use on the face and body. It can be used as both a primer and moisturizer under makeup, as an aftershave treatment, or to reduce skin inflammation, blistering, and itchiness. Grapeseed oil is loaded with vitamins C, D, and E – all of which aid in nourishing the skin. The polyphenols and antioxidants promote skin repair, while vitamins C and E combine with the fatty acids to relieve dryness. Easily absorbed by the skin, grapeseed oil can be used for a massage, hand and cuticle care, or as an all-over body moisturizer. Coconut oil is an excellent occlusive moisturizer, meaning that it helps stave off dryness by preventing moisture loss. It contains vitamin E and omega-3 fatty acids, which work to reinforce the skin’s protective barrier and provide rich emolliency. For full-body hydration – and a surprisingly pleasant scent – cover yourself head to toe in coconut oil, focusing on elbows, hands, scalp, and any excessively dry areas. Unless you are allergic to oatmeal, shea butter, aloe vera, grapeseed oil, or coconut oil, there is little risk in trying any of these ingredients on your skin. Do a spot test on a part of your skin that’s less visible, like your wrist or ankle, before applying the ingredients to your entire body. Wait 24 hours after the spot test to make sure you have no reaction and that your skin can tolerate it. If you don’t experience any irritation or redness, you’re good to go. Use right after a shower or bath, on slightly damp skin, to lock in moisture. Don’t dismiss these ultra-hydrators just because they come from Mother Earth. Try one, pamper your skin with it consistently, and you’ll have supple, dewy-soft skin that winter weather won’t be able to match. cbdMD’s topical creams and lotions rely on trusted botanicals to help calm inflamed, irritated skin. They’re also 100% organic, USA-made, non-GMO, gluten-free, and vegan.